I love frozen prepared Indian foods. 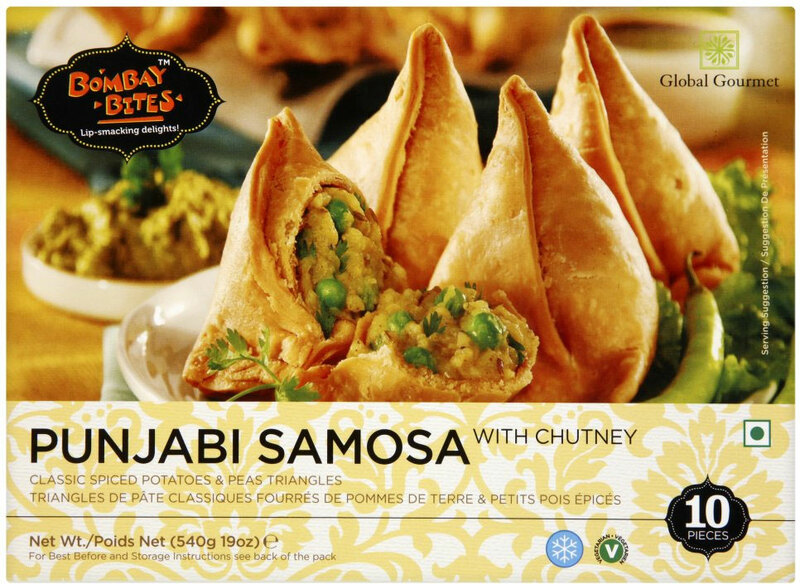 Treats like samosas make a perfect snack or appetizer, and I’m usually very lucky to find products that are as close to a freshly prepared product as I can get. I found these particular samosas in a neighborhood grocery store, made by Bombay Bites. It came with a pack of chutney, which I usually don’t see offered with other brands. The cooking instructions are limited to deep frying or microwaving, but I went rogue and heated them in a toaster oven (350 degrees for 10 minutes followed by 375 for 3-5 minutes). The chutney came in a small plastic packet which needed heating up in a microwave for just a few minutes. The chutney was also very comparable from what I would get if I bought it freshly prepared. 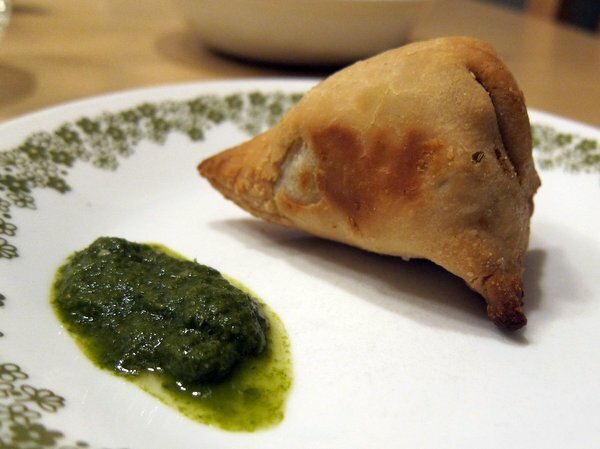 I like Bombay Bites because their samosas are actually samosa shaped. I have bought other frozen samosas that were phyllo-wrapped triangles which, even if they tasted great, weren’t the same. The filling is very tasty and perfectly spicy (hot without being too hot), and the chutney was a nice accompaniment. Dude, my life has been nothing but lazy when it comes to cooking lately! I am all over pre-made foods when i am busy. These look yummy!